The Sweet Dreams Thor triple metal bunk bed frame has a modern silver grey finish and angled ladders for easy access to the top bunk bed. 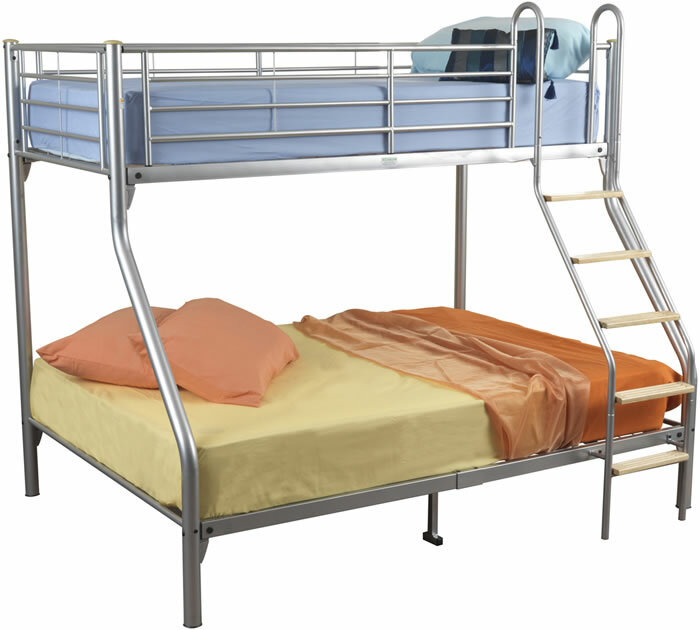 For safety and comfort the top bunk access ladder has five sturdy wooden steps and metal hand rails which exceed past the top bunks safety side rails. A fixed support leg in the centre of the Sweet Dreams Thor bottom bunk provides additional mattress support for a better nights sleep. For child safety the Sweet Dreams Thor top bunk bed must not be used with a mattress that exceeds 17cm in height.